Aliens are among us. And humanity's only hope just happens to carry pom-poms. Laura Clark thought she was just your average college freshman - until the day she saw a cheerleader on a skateboard get into a superhuman brawl with a lightning-wielding stranger in a trenchcoat. And the weirdest thing of all? Nobody else saw it happen. Nobody, that is, except the beautiful but standoffish Shailene, one of the mysterious (and possibly super-powered) cheerleaders from Laura's rival school, Bayview University. This fairy tale retelling tells the story of the magical golden harp in Jack and the Beanstalk. Clarion is the daughter of a pig farmer, one of a trio of friends, and a harpist that can capture listeners' hearts. After her father's death, her mother resorts to selling all of their possessions, including Clarion's beloved harp. While playing her harp for the last time at the Mayor's ball, Clarion and a visiting lord's son discover a giant beanstalk growing in a witch's garden and the adventure begins! I love fairy tale retellings, and I've never read a Jack and the Beanstalk story before. The author created an interesting world and characters. I liked that the sexuality of the characters was presented as matter of fact without labels. I actually preferred Elena to the main character, and sympathized with her when she realized that Clarion had feelings for a man, and she was alone. The plot was interesting, but every new reveal had to be explained to Clarion in detail, so every twist consisted of another character telling Clarion, 'No, THIS is why that happened'. Clarion asked all the right questions, but instead of being addressed, they were ignored. I'd love to hear more about why the little people didn't know about the giants, and where Jacosa's magic came from. The narrator read dramatically and with feeling. Instead of reciting songs, she sang them, and it was really well done. I was provided a copy of the audiobook, and I'm voluntarily leaving a review. Enjoyed the story! It was different, unique, and diverse without being too preachy or forced. 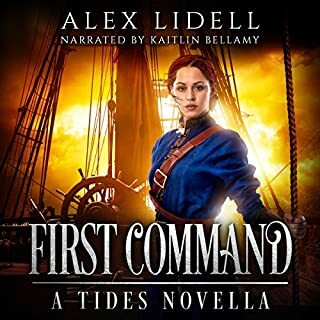 The narration started off really weak and I did not enjoy it at first—however, Kaitlin Descutner really grew into the role and the voices she did and the emotion she had throughout the audiobook made me enjoy it more. Loved hearing the different perspective of this tale told in this way—kudos! But I won’t listen to it again. Received this audiobook for free for exchange of an honest review. Clarion is our quiet, determined hero of this story. She’s on the cusp of adulthood and this adventure will catapult her into life with several decisive actions. I really liked her character. She’s had a pretty stable if downward spiraling life up until recently. She and her mom are facing poverty. With her dad deceased, it’s up to her and her mom to make ends meet. I was right beside Clarion in her grief over her mom’s decision to sell the last of the pigs. However I do wonder why Clarion thought Royce and Raymond would keep their little pig farm going. I’m pretty sure Clarion understood that it takes male and female pigs to get a new generation of piglets… but her inner monologue on these two boy pigs says she doesn’t. That was the first little thing that didn’t make sense with this tale. Note: I have since learned that it’s Royse (as in Medieval version of Rose). The author shared that little tidbit with me which is great since I didn’t pick up on the spelling with this audioversion. Over all, I enjoyed this story. With that said, there are several small points (like the pig issue mentioned above) that show this tale could have used a little polishing. Clarion’s mom comes off as a bit of a harpy at first but then her character becomes softer, more approachable. But then we quickly move on with the rest of the story, so I can’t say which version of Clarion’s mom was the more realistic. These are just two examples of small points that sometimes contradicted each other. Anyhoo, Clarion has a social gathering to get ready for and that involves first cleaning the Mayor’s house and then borrowing someone’s dress. Her beloved harp (a big awkward thing) may not be her’s for much longer. Both Clarion and I were sad about this. But we are given little time to cry over that because there’s a big beanstalk! From this point forward, things get a bit predictable. The story still has a charm to it but I was not surprised by anything. Up in the clouds, there’s a domineering bully of a giant along with other giants. The characters travel up and down the various beanstalks while they attempt to resolve all the conflicts. The witch Jacosa plays a key role in these beanstalks and in shrinking and enlarging various characters; her herbs and magical beans provide the backbone for this tale. Now I really did like that Clarion is having to muddle through her romantic feelings in the midst of all this. She and Elena have been friends for years and perhaps a little more. However, in the recent months, Clarion isn’t sure she feels that way about Elena any longer. Then a new young man comes to town, Mack, and Clarion feels her first little crush on a boy. I loved that her blossoming feelings for a potential heterosexual relationship doesn’t diminish her past homosexual feelings for Elena. Two thumb ups for this aspect of the story despite some ridiculous insta-love later on in the tale. Now the ending is a bit of a cliffhanger so I hope there will be a sequel, otherwise Clarion will be stuck in an uncomfortable disposition forever. All told, it was Clarion that carried me through the story. I was attached to her even with the tale being a bit predictable. Narration: Kaitlin Descutner did a very good job with this story. She had the perfect young lady voice for Clarion. There was singing! Yes, indeed! Descutner pulled this off really well. Not all narrators can easily work in a bit of singing and Descutner did not disappoint. Her male voices were believable and all her characters were distinct. There were no technical issues with the recording. This was a whole new way to look at ‘Jack and the Beanstalk’ regarding the giant’s magical singing golden harp. This was a true trip in to fantasy and the beginning to the harp (Clairon). Clarion and Elena were both friends and one boy came to town and made things more complicated. This begins the journey for Clarion up the beanstalk and the prequel to Jack and the Beanstalk. Narrator Review of . . . BALLAD OF THE BEANSTALK . . . Kaitlin did a good job. She allowed me to become more engaged in the characters and the world around Clarion, Elena, Mack and the beanstalk and its inhabitants. The audio was smooth and hiccup free. This tale is an interesting retelling of the original and well known fairytale called “Jack and the Beanstalk”. If you saw a giant plant sprout from the earth and travel all the way into the clouds, how would you react? McNulty does a really great job with explaining the confusion, suspicion, and curiosity that passes among her characters after a giant beanstalk takes up precedence in a magical garden which coincidentally belongs to the town’s witch. This adventure has tons of creativity, originality, and entertainment, while still encompassing some of the consistency of the original fairytale. McNulty lures her readers in with her enticing, yet mysterious characters and an adventure waiting to unfold up the beanstalk. Clarion kind of feels like an outsider. The women and men that she calls friends, view her as highly emotional and uncomfortable to be around after the passing of her papa. Alana has been her dearest friend, and quite frankly, perhaps something more. Clarion’s views about her lifestyle change after her papa’s passing though and she can no longer continue a relationship with Alana. After meeting the mysterious Mack, a lord’s son, who is supposed to marry her best friend, she can’t get over him. She begins falling in love with him after talking to him over her much loved harp that she was tasked with playing at the mayor’s mansion. Then an earthquake erupts and Clarion and Mack are the other two who see a giant beanstalk out of a window as it fills their view. With curiosity and awe, both go together to investigate, but fail to tell anyone of their whereabouts until after Mack vanishes by climbing up in the fog and the clouds. Now, Clarion has to convince the skeptical village and not even the town’s witch, the one who cut down the beanstalk, will help her convince anyone of her story. McNulty has an interesting and terrific retelling with “Ballad of the Beanstalk”. The book has fantastic character development, interesting characters, and a creative well, put-together story-line. Throughout the entirety of this audiobook, the narrator spoke in an inconsistent pattern though. It very well could have been common for women in this era to speak very fast to reflect intelligence, knowledge, and power, but it does tend to be really difficult to understand in an audiobook. Descutner’s representation of other characters were fun and inviting, especially for a king. This review is complimenting the audiobook. If you are a reader of fairytales and young adult fantasy, you may want to pick this one up. 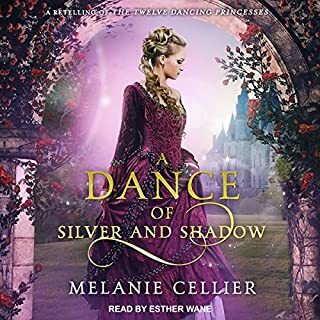 A copy of this audiobook was provided to Turning Another Page by Audiobookworm Promotions, but this in no way affects our honest opinion of the book or the review that has been written. 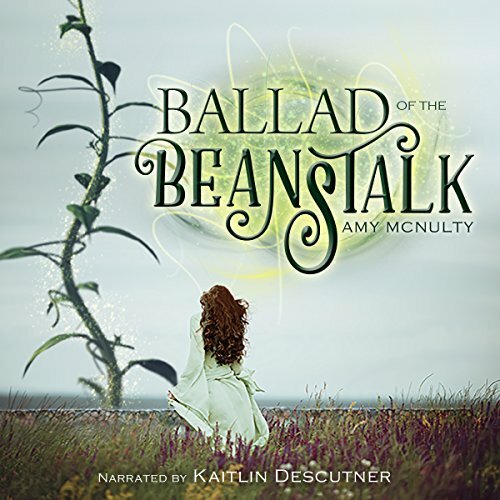 We provide a four-star rating for Ballad of the Beanstalk by Amy McNulty, narrated by Kaitlin Descutner. Author Amy McNulty has created an imaginative rendering of the story before the story of Jack and the Beanstalk. 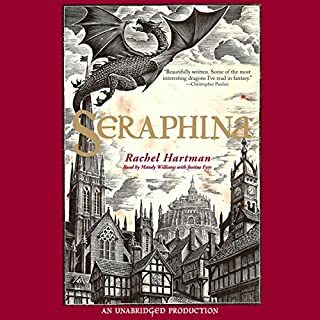 She introduces a lot of characters quickly, and some are not as well fleshed-out as others, so as an audiobook, it is a little hard to keep-up initially. But soon enough, each role is clarified and McNulty gets snaps for coming up with the most novel love triangle (square?) I have seen. I found it interesting and refreshing that the characters being homosexual and bisexual aren’t scandalous in any way. What is scandalous is a young female going out in public without a bonnet on her head and the admonishment of “Do you want the village to think you’re a harlot?” from a concerned adult. What did you love best about Ballad of the Beanstalk? This book had a really interesting premise and storyline. Ms. Mcnulty is definitely a strong writer and very vivid in her story telling. I think the story would have been a five for me if the f/f aspect was handed differently though. i sort of felt cheated that once the MC met a boy she didn't really "like" girls. Maybe I misinterpreted it but overall I didn enjoy the book, especially the narrator since her voice was super pretty with the singing and brought out the performance. This is my first book by this author but I look forward to more! the speed seem fast at first but got used to it. 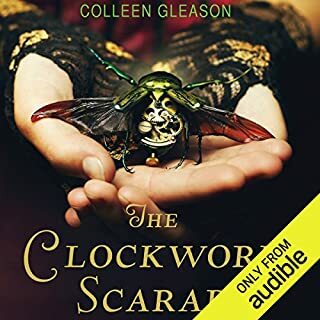 The narrator chosen for this audiobook was amazing great voice for the singing parts. Awesome story about the Harp and how she became the harp. Very good book. What made the experience of listening to Ballad of the Beanstalk the most enjoyable? The narrator was great and I enjoyed the uniqueness of the story. What about Kaitlin Descutner’s performance did you like? She was able to convey a wide range of emotions and gave each character a unique voice. Yes! I really wanted to know what happened next and how it would end. I received a free review copy of this audiobook at my request and I have voluntarily left this review. This is the type of book I like to read, however this one didn't do it for me. The main character is biosexual. I got a bit of a shock when she called her best friend sweetheart, only because I was not expecting it. The author tells us how she came to love her friend however I didn't feel her love for her at all. I don't know if this is what the author wanted us to feel since the main character was falling out of love with her. She then falls in love with a guy she meets. That relationship I also didn't believe because it was too quick on both sides. However, I could have lived with this if the main character had a backbone. She is a coward, others walked all over her and they always save her. She really annoyed me!! She says she cares for the guy, you would think that she would have followed him when he went to a place he shouldn't have. She took ages to make up her mind and by the time she did she fell. I expected her to pick herself up and do it again quickly so she can catch up with him but no, that was wishful thinking on my part. I thought the narrator did a good job on acting out each fcharacter however this book isn't for me. Others might like it. Where does Ballad of the Beanstalk rank among all the audiobooks you’ve listened to so far? 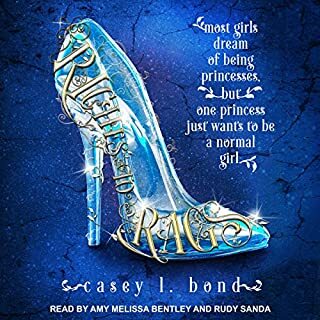 &quot;This book was given to me for free at my request and I provided this voluntary review.Ballad of the Beanstalk was a little different from what I normally listen to/read. I enjoyed it very much, as the narrator was very talented and projected quite well. Would you recommend Ballad of the Beanstalk to your friends? Why or why not? Have you listened to any of Kaitlin Descutner’s other performances? How does this one compare? I had not heard Kaitlin Descutner perform before, but will look for her on other projects. The beginning was handled very well while attempting to be delicate with the relationship between the traditional roles of the best friend.